When you visit Nyaka’s website or read articles about us, you see the smiling faces of students in school and the hardworking grandmothers who take care of them. Our students and grannies are a huge part of what we do, and they are the reason that we continue the fight against poverty in southwest Uganda. You are employing some amazing staff members in Uganda who are always looking for ways to make Nyaka better. A great example of one of your amazing staff members is Winnifred Natuhwera. Winnifred is a nurse at your Mummy Drayton School Clinic right across the road from Nyaka Primary School. 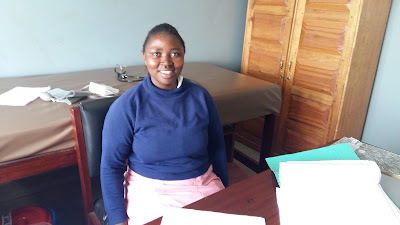 As Nyaka’s Health Program Associate, I work closely with the clinic and its hardworking staff. They are near and dear to my heart. As I’m sitting here in the clinic thinking of how to begin writing about my friend and colleague, Winnifred runs into the room: “Maddy, look!” Beaming, she holds out a sheet of paper where she has been tallying the past month’s clinical visits in order to write January’s monthly report. “We had 41 women come for family planning services this month! 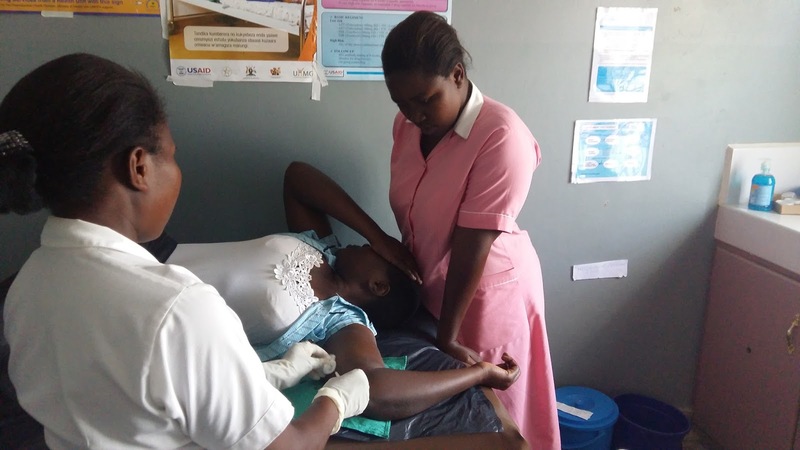 The most we’ve ever had!” In September 2015, Nyaka began partnering with Marie Stopes International, an NGO dedicated to reproductive rights, to provide family planning services to women in the community. Winnifred has been visiting community meetings and church services to announce this new clinic service, and she is delighted that her hard work is making a difference. This is a watershed moment for her. Last week, our clinic’s other practicing nurse, Sterina, began her 10-week maternity leave. While we are all excited to welcome a new baby boy into the Nyaka family, Sterina’s absence means that 24-year-old Winnifred will be the only trained clinician at our clinic until April. She is both nervous and excited. Clocking just one year on the job, Winnifred is our junior nurse and has never had this much responsibility before. On the other hand, she now has the opportunity to take charge and make decisions on her own. I have been impressed with the initiative she has taken and the long hours she is putting in. She works from 8am to 5pm six days a week to ensure that your Mummy Drayton School Clinic can continue to provide the services the community needs. She also volunteered to attend a training offered by Marie Stopes that will certify her to perform all family planning procedures in Sterina’s absence. Winnifred is singlehandedly running the clinic with her 2-year-old daughter, Pacemaker, at home. (When I asked about the origin of her daughter’s name, Winnifred explained that “she makes my heart beat, just like a pacemaker.”) Pace, as we usually call her, is a shy little girl who occasionally joins us for lunch at the clinic when the babysitter isn’t around. But mostly, she is with us in spirit. Every day I’m at the clinic I hear a new story about Pace: a new word she learned, her favorite joke, her most recent temper tantrum. When it’s time to take a break, Winnifred shares her obushera with me, a local beverage made out of millet, and we compare various aspects of American and Ugandan culture. It is these moments of humanity, interspersed between the feverish babies and bloody noses and hacking coughs, that make Mummy Drayton Clinic one of my favorite places to be here at Nyaka. Thank you for helping Winnifred do great work! only your support makes it possible! Want to learn more about the clinic? Click here!